We’ve reached an odd place with pumpkin-spice flavored products. It’s a flavor that’s become absurdly ubiquitous during the months of October and November. It’s not just the notorious Starbucks’ lattes, but also the Pringles and the beef jerky and the Peeps. Clearly, the flavor is popular, but it has also become, in recent years, a perennial object of scorn. 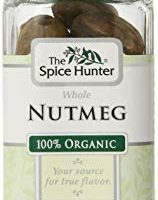 And I get that, I mean, adding an orange label and a dash of cinnamon and nutmeg to everything like it’s some kind of autumnal pixie dust feels like a cheap marketing ploy. But also, there’s nothing really wrong with cinnamon and nutmeg. I love squash, but if I’m being honest, I have to admit that pumpkin is one of my least favorite pies. It’s not bad, I mean it’s still pie, but I find it a bit dense and the crust tends to go soft so there’s no textural variation to make it interesting. I’ll almost always opt for apple if that’s on offer at the end of a Thanksgiving dinner. And it would never occur to me to make a pumpkin pie for any other occasion. This pumpkin tea cake, on the other hand, is a different story. 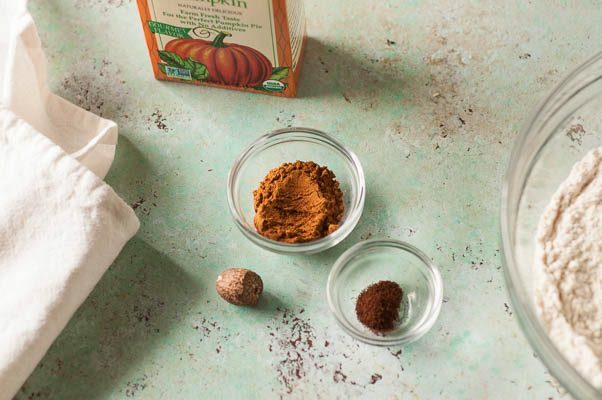 It might be my favorite way of deploying those traditional pumpkin spices. 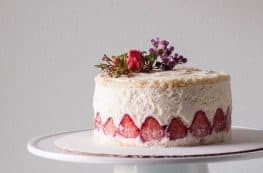 It’s the kind of cake that doesn’t require a special occasion, but it’s also good enough for one (I recently sent some to my brother for his birthday). It has a generous hit of spices. A whopping tablespoon of ground cinnamon and most of a whole freshly-grated nutmeg and a couple of pinches of cloves. But I assure you, it’s not too much. It’s moist and buttery with a crunchy layer of turbinado sugar on top. It comes together quickly, and it’s easily stirred by hand. There’s no reason to turn on a mixer for this one. 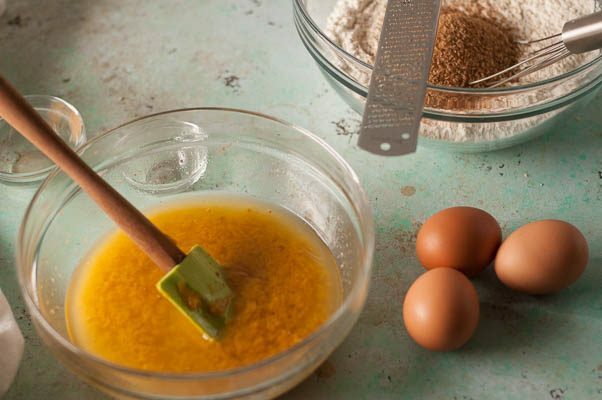 A couple of bowls and a whisk and a spatula will work just fine. 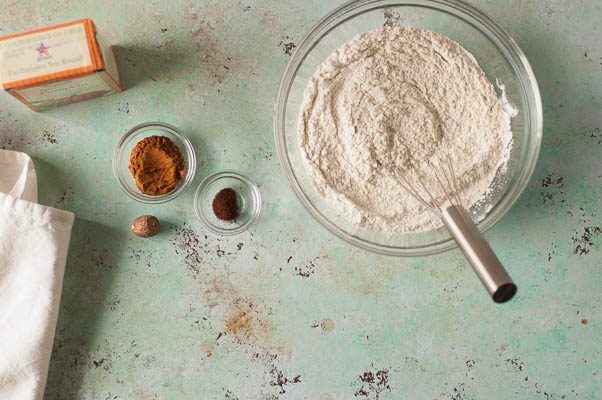 It’s adapted from one of my all-time favorite baking books, Tartine, a book that never lets me down. 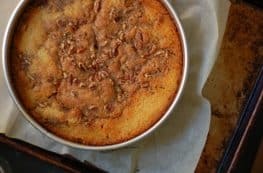 I swap out half the oil for butter, I add some brown sugar to the white, I tweak the amounts of spices and pumpkin to suit my preferences, and instead of simple granulated sugar for the topping I use the big-crystalled turbinado (sometimes called raw sugar) to add more textural contrast. 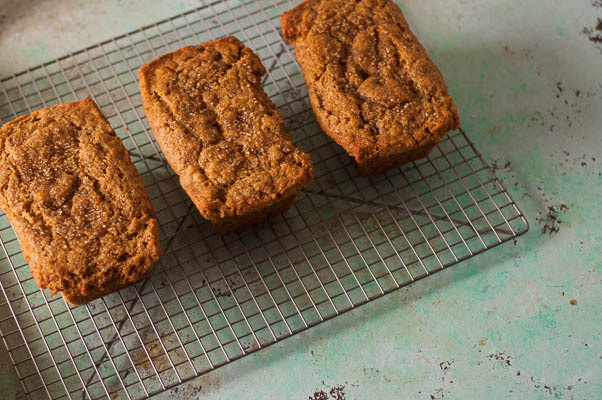 They’re rustic and craggy-topped and comforting and perfect for fall. Preheat the oven to 325ºF. Spray a standard 9×5-inch loaf pan with nonstick spray. In a separate mixing bowl, stir together the pumpkin puree, oil, butter, and the granulated and brown sugars until well mixed. Add the eggs, one at a time, mixing well between each addition. Add the wet ingredients to the dry and stir until no visible bits of flour mixture remain. Transfer the batter to the prepared loaf pan and sprinkle the top with an even layer of turbinado sugar. Bake until a toothpick inserted into the cake comes out clean, about 1 hour and 15 minutes. Let cool on a rack for at least 20 minutes. Invert it onto the cooling rack, turn it right-side up, and let cool completely before serving. Will keep in an airtight container at room temperature for about a week. I like that you made mini loaves instead of cupcake/muffin shaped treats. it does sound good enough for a special day, but easy enough for the grand occasion of “let’s have a cuppa tea”. I have this addiction to orange vegetables so I can’t help but want to make this now. Yum! These look great. I myself am not a fan of pumpkin pie either but baking with it in other forms is a definite yes. Thanks, Alli! Glad to know I’m not the only one not so crazy about pumpkin pie. These look so yummy! I love the photography too! 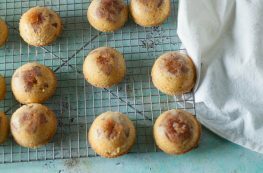 These tea cakes look delightful, and I love how approachable the recipe is. Beautiful images! Thanks, Callie! 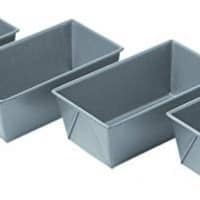 These are totally manageable for the typical home baker (and the return on the effort expended is huge). OMG these look so so good! These look so cute and I really like that you used tiny loaf pans! 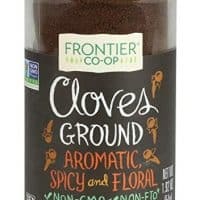 The spices come along so well and so perfect for a fall evening with tea! Thanks, Shadi! I love the tiny loaf pans, too. Looks amazing. Love pumpkin season. I am loving the plethora of pumpkin recipes at the moment! Must get baking! Thanks, Diane! Let me know how it turns out. These mini pumpkin loaves look incredibly cute and delicious! 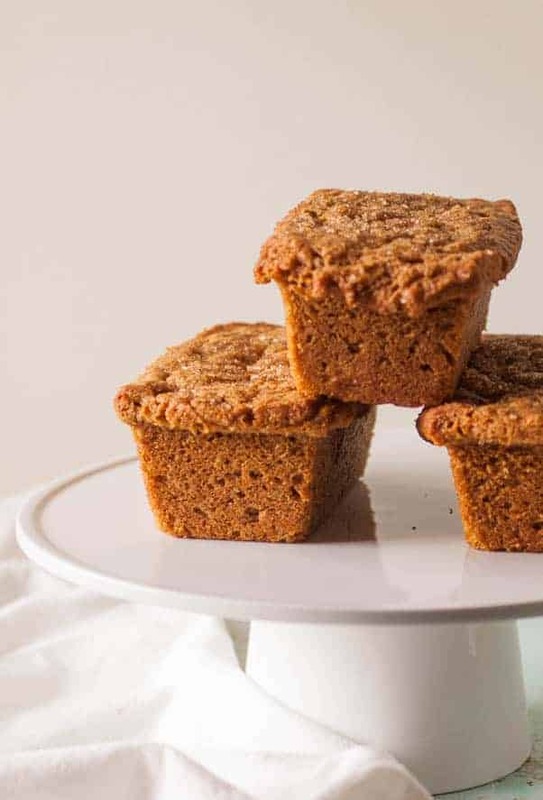 These pumpkin tea cakes look so delicious and so cute as mini loaves. Great recipe! I definitely want to try this out. I am on the same page as you – pumpkin pie is not the first one I reach for this time of year, but I am a big fan of the PSL. These little pumpkin cakes look delicious and adorable! Can’t wait to try! Thanks, Emily! Let me know how they turn out! Hmmm I feel like my comment was eaten by the internet. The gist 🙂 was–love these cakes, love that sugar topping and love the butter swap! Great job! Thanks, Laura! So sorry your comment got eaten. I love these little cakes. I love pumpkin, but nothing has really caught my eye this year to make! These tea cakes look perfect though and are going on my to-make list. Pinned! Thanks, Jessica! I’m so glad these spoke to you. For me, they just hit the autumnal-warm-baked-comfort spot. 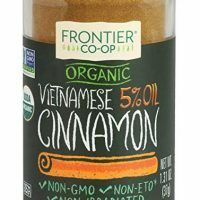 I love that you are not afraid to use a lot of cinnamon! Yum to that crunchy sugar topping too! Thanks! I love the intensity of the spices here. And, yes, the crunchy sugar topping is awesome. 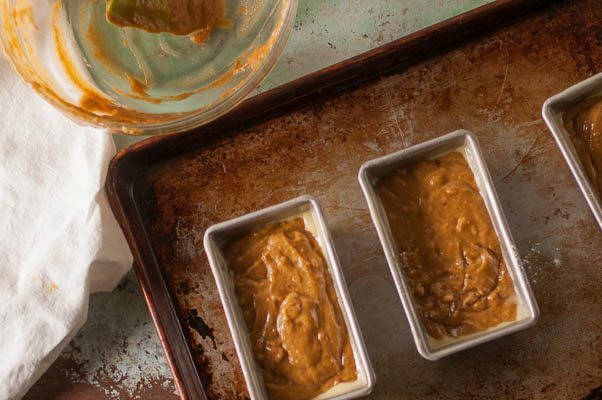 I’ve never made a pumpkin pie as it’s just not traditional here but I love pumpkin spices and these little loaves sound like exactly the way I’d like to eat my pumpkin too! Thanks, Corina! I love these cakes!